The narrative ambiguity that was featured in "Right Now, Wrong Then" follows us here in a broken narrative. Either of which could be the manifestations of a soul in pain, trying to cope up with a failed relationship. I don’t know if am allowed to say this, but “On the Beach at Night Alone” has to be a very personal film for both – director Hong Sang-soo & his current muse – the beautiful and uber talented Kim Min‑hee. For if you have witnessed the heart-wrenching third act of the film, you will understand that the film comes from a very personal space. Like visiting and revisiting his own films, including the fantastic “Right Now, Wrong Then,” Sang-soo also revisits previously explored themes of heartbreak, loneliness and the lack of sense of being in one specific place. The Beach hence becomes an anomaly for a lost soul trying to deal with the trauma that has completely shattered her identity and sense of belonging. Featuring the traditional zoom-in and outs that Sang-soo is evidently known for, this simple and tenderly told story will surely hold a special place for Sang-soo regulars. 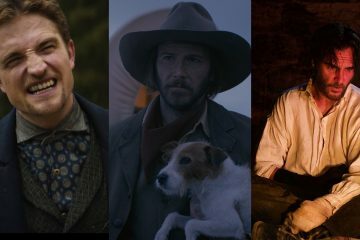 As far as the new festival crowd is concerned, the film still holds enough gravitas and tangibly visible use of emotional consistency to really resonate with them. However, the narrative ambiguity that was featured in “Right Now, Wrong Then” follows us here in a broken narrative. Either of which could be the manifestations of a soul in pain, trying to cope up with a failed relationship. Presenting docufiction as fiction, the film opens with Young-hee (Min-hee Kim). A beautiful and young actress who has just gotten out of a long affair with a married film-maker (referencing the extra-marital affair that Min-Hee Kim & Sang-soo had in real life). There’s a sense of calmness in her eyes but the sadness hasn’t left her heart. The breakup has left her heartbroken and the loss and longing for love are quite evident from all the minimalistic conversations she shares with her friend in Germany. Twice in the film we see Young-hee asking people if she should stay there. Once in Germany and the other in her homeland Seoul. Which reflects how lost she feels in spite of people constantly telling her that she looks older and smarter than usual. 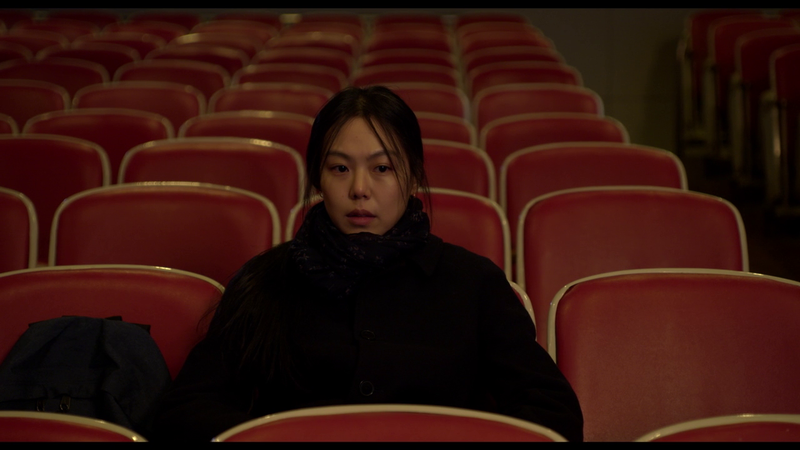 As the first chapter of the film concludes, we see Young-hee sitting in a somber tone in an empty theatre. Possibly watching a film made by the film-maker she loved. She is back in Seoul and so are we. Without having to know her well we get a sense of her character’s mental state. The song of lost love that she sips down with her cigarettes points to both the optimism and pessimism of having her old life back. She is taking a break from her acting career but in reality, she is just wandering off into lonesome places trying to piece her broken dream of the love of her life. She is sulking, she is reeling and she is just trying to escape the torment that has pierced a hole in a life that no more feels like her own. The most important aspects that films dealing with love and longing fail to really incorporate are the confessions and the secrets that come pouring out when life’s utmost meaninglessness strikes like a hammer on an iron rod. However, Sang-Soo uses these confessions to show the current mental instability of the centerpiece of his film. Through two dinner conversations and a little too much of rice liquor, he manages to establish the character in a way that is both beautifully understated and terribly heartbreaking. Kim Min-hee who is the heart of the film delivers one of her career’s best performances. Even towering her polar opposite turn in Park Chan-Wook’s The Handmaiden. What’s really interesting about most Sang-Soo films is their meta nature of documenting and fixing what he possibly couldn’t fix in his own life. Which not only enhances the personal touch of the narrative but also make it a universally connective tissue for anyone who has gone through the ups and downs and the beginnings and ends of a relationship. With “On The Beach At Night Alone,” Sang-Soo makes us go through the most terrible heartbreak which follows a love-affair that was meant to be everything. “On The Beach At Night Alone” was Screened at the JIO MAMI MUMBAI FILM FESTIVAL, 2017. Click Here For Our Complete MAMI Coverage.